Amidst a flurry of annual sports games, the return of a racing classic and other familiar faces, EA’s new cooperative adventure game, A Way Out, stands out from the crowd. That’s not hard when your press conference is a calamity of awkward YouTubers and most of your lineup is established, tried and true franchises. Regardless, A Way Out was always to be one of the most talked about games coming out of EA PLAY. That’s because it’s trying something few AAA games dare: a mandatory co-op game that demands cooperation and meticulous planning as you guide Vincent and Leo through — and eventually out of — prison. What really sets A Way Out apart from other co-op adventures is that everything is played and executed in clear view of your gaming partner: you’ll connect either locally or online, with both presenting the experience in split-screen. This seems like a mighty impressive challenge for developer Hazelight Studios. 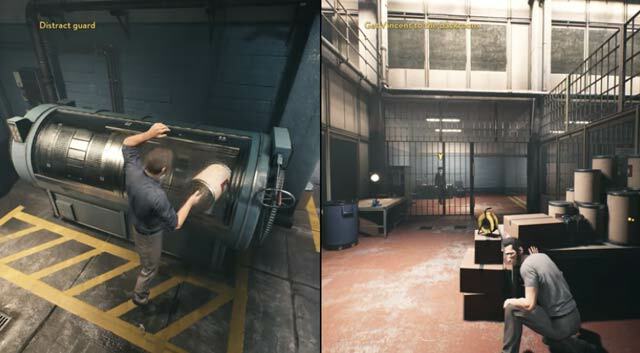 A Way Out can only be played in split-screen co-op, and it’ll be interesting to see how the team creates an experience that is equal parts rewarding as it is mindful of the demands of co-op gameplay. EA likes to set the standard at E3, as we’ve seen with the publisher holding its EA PLAY event before and outside of the main E3 shenanigans. All the talk is around its games leading into the biggest gaming event on the calendar, and now that we know about one of its new IPs, it’s clear that it’s keen to revolutionise, evolve and innovate, rather than simply relying on tried and true formulas from the likes of FIFA, Madden, and, yes, even Battlefront 2. Take a look at A Way Out in the reveal trailer below, and then check out some of the gameplay.